I’m sitting at a well-designed timber table a metre or two from the entrance to Cycles Galleria. As I’m chatting to the managing director and owner, Robin Pearce, it hits me: How was I unaware that this elegant and meticulously laid out Melbourne city bike shop even existed? History: Robin Pearce worked in bike shops for a number of years while studying engineering and science. It wasn’t long after he finished studying that he realised science and engineering weren’t for him as a career and he couldn’t get the idea of having his own bike shop out of his mind. In 2012 Robin teamed up with his business partner Mark Leenaerts and opened his first store on Bourke Street, Melbourne. The strategy was simple: sell innovative brands across all bicycling disciplines, whilst providing an exceptional customer experience that doesn’t discriminate based on the size of your budget. Cycles Galleria used these successful ingredients to open their 2nd store in July 2013 and are about to launch their 3rd shop on Riversdale Road in Camberwell. Focus on the customer: “Any decision we make in store has the customer in mind first”, says Robin. “It’s not just the ProCare lifetime servicing we offer on all bikes, but an ethos of customer first embedded into the culture of our store environment”. When Robin tells me they offer “a lifetime of free servicing on all bike purchases” I have to stop and ask him again. It’s certainly a unique offering and something that confirms their “customer first” strategy. Robin tells me that Cycles Galleria want to entice their customers to come back in store, alleviating any concern that customers may feel about what their next bike service might be costing them. Layout and range: Cycles Galleria is an enticing store. As soon as I spotted the store while strolling down one of Melbourne’s iconic laneways, I was immediately drawn in. Premium fittings, high-end bikes positioned like ornaments, and a sock and cap merchandising display that just has to be seen first hand. The point of sale area is almost camouflaged into the store, leaving you free to ponder your next purchase without feeling like someone’s watching over your shoulder. Trek, Cannondale and BH are the main bike brands stocked by Cycles Galleria, carefully selected based on their innovation and creativity in the cycling world. 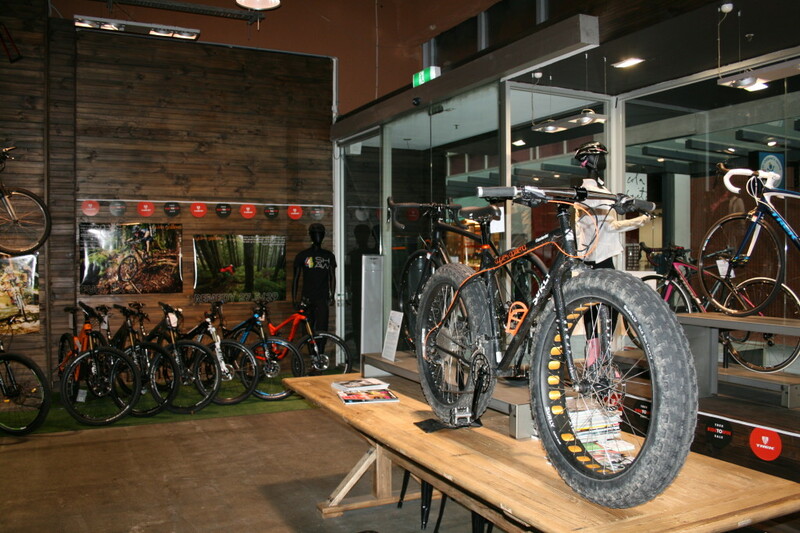 With bikes ranging from $400 starters through to $20,000 road machines, Cycles Galleria really do cater for everyone. Precision Fit: After understanding your riding style, aspirations and goals, the guys will measure your physical attributes, like flexibility and overall positioning on the bike using a specialised piece of machinery. The idea is to get you in an ideal riding position that’s going to prevent injury and make you as powerful as possible, using the latest technology cycling has to offer. Experienced Mechanics: Given Robin’s background as a mechanic, he prides himself on offering exceptional bike servicing. Many of the mechanics at Cycles Galleria have over 10 years’ experience and can be spotted tuning a customer’s machine in their highly visible service centre. 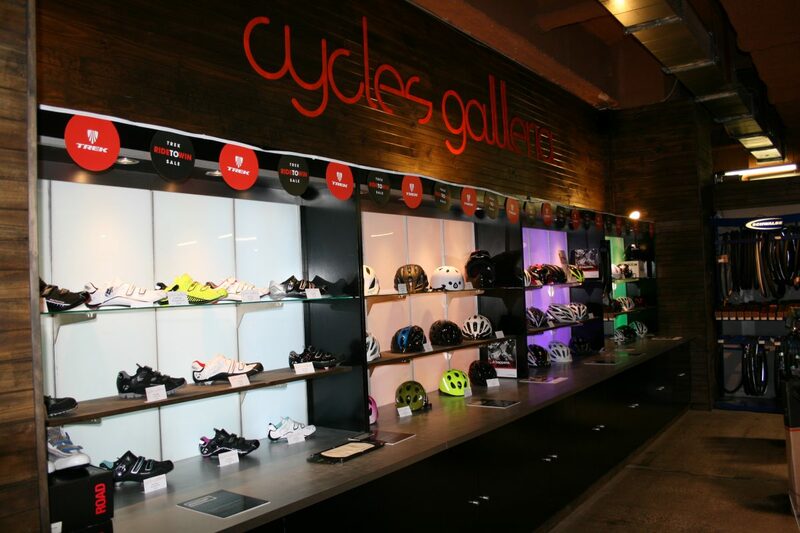 CBD Locations: If you’re a Melbourne city dweller or worker, Cycles Galleria has two very distinctive bike shops that cater to all your cycling needs. One is based at Melbourne’s QV and the other at the corner of Elizabeth Street and Bourke Street. The two shops have different focuses with regard to their range, yet the same exceptional service applies no matter where you decide to go. With two stores in the CBD you have a lot of flexibility to get your bike serviced convenient to where you’re based and also a large range of options based on your brand preferences. So there you have it – top brands, inviting store layout and a business built around “customer first”. 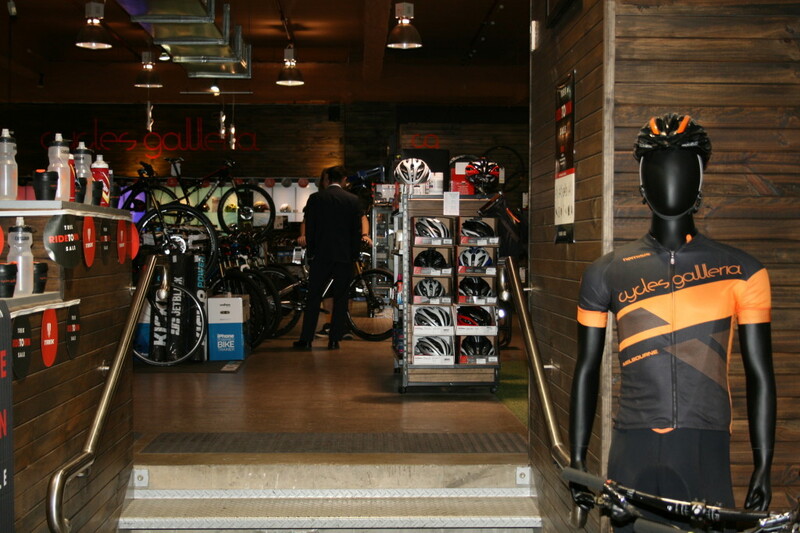 They’re just a few reasons why Cycles Galleria is our Bike Shop of the Month and why they should be on your visit list when shopping for your next ride.